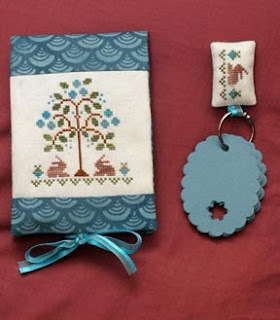 I took part in HOE Little House Needlework Exchange I had Linda as my partner who lives in Singapore. 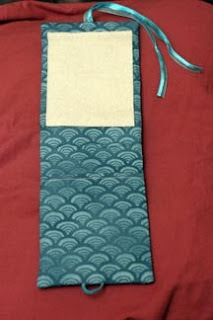 I decided to make her a needle case I used the top of the chart from LHN Winter berries. 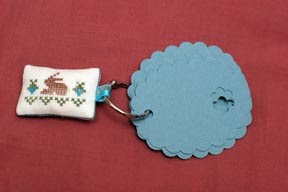 I also decided to make Linda a Thread Tag using small motifs from the pattern. Love the needlecase and tag. They are so pretty. Wow, they are beautiful. Very clever finishes! The needlecase you made is a real treat. And such a sweet little floss tag. Wonderful exchange pieces. These look wonderful! I am sure Linda will love them.